Cameron wanted to study birds for Science. I found a book titled Flying Creatures of the Fifth Day. It is fabulous! He loves the material and looks forward to studying science everyday. 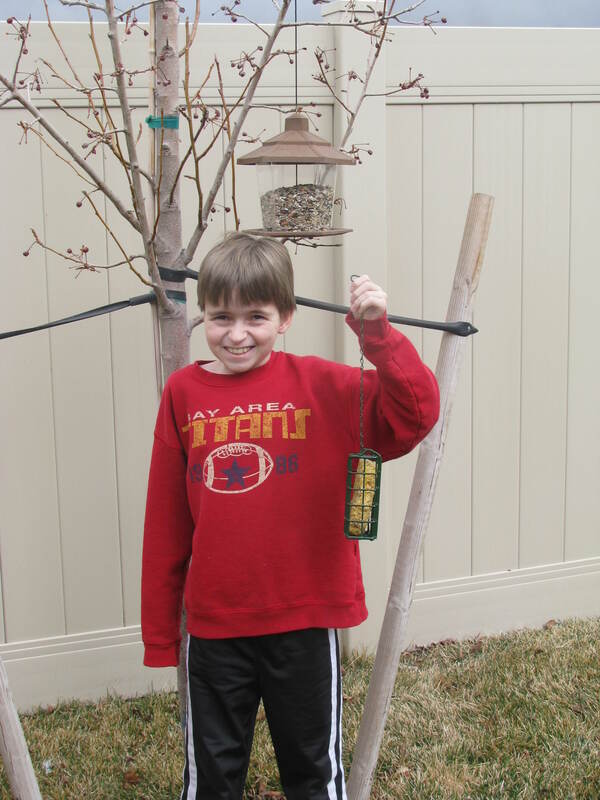 One of the many fun assignments is to set up bird feeders to attract some of the flying creatures. 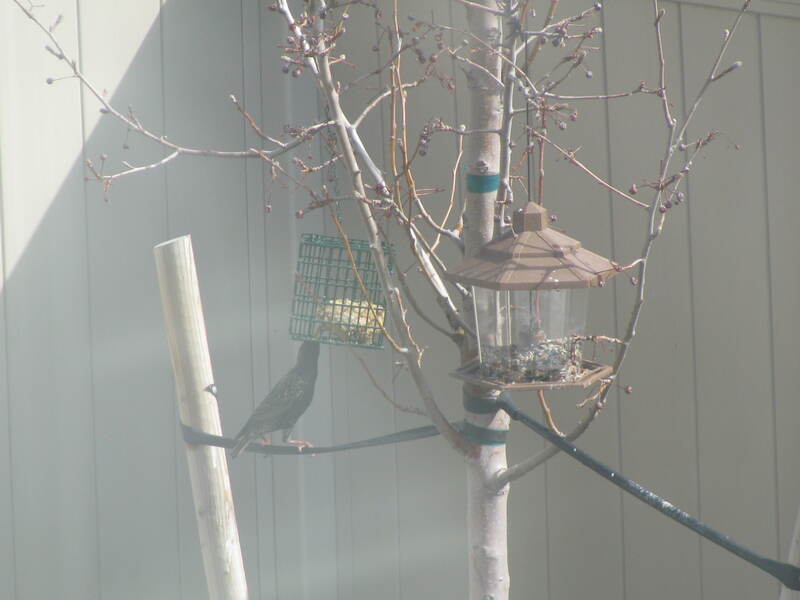 We have a normal feeder with bird seed and a cage that we made our own bird food, or suet, to fill with. It took about a week for the birds to find it. But now it is not uncommon to find 8-10 birds feeding from our tree. We also discovered a live feed for a barn owl named Molly. She has 5 eggs and one of them have hatched. We can't stop watching her! It's fascinating. Dear Aunt Kira suffers from Ornithophobia, or the fear of birds. We love Kira and we want her to visit. But we fear our new pets will keep her away. Please come see us! We promise to keep the door shut. If you feed me, I will come. (Which is an eerily similar credo to the birds). This is a risky game you're playing.